Wellness Wednesdays in Winterset: Lunch & Learns and More! Winterset is a community of 5,120 in central Iowa, about 40 miles outside Des Moines. Since 2011, a number of our local organizations have collaborated to present Wellness Wednesdays in Winterset, a program series that strives to improve the health and wellness of our residents. Programs run from early May to late October and are free of charge and open to all ages. Wellness Wednesdays were a collaborative effort; our planning committee included staff from the library, county hospital, art center, county conservation, city parks and recreation department, county health department and even a local pharmacist. Partners collaborated to schedule a vast assortment of programs. Week 1: Walk Around the Clock. The heart of Winterset is the historic town square surrounding the courthouse, which has a clock tower. Numerous shops and businesses line the square, so it's a perfect place to walk safely. The courthouse has an outdoor sound system, so we played themed music to keep participants stepping all summer long — '80s rock in June to support the “Libraries Rock!” summer reading program, patriotic marches for the Fourth of July, etc. Week 2: Lunch & Learn at the Library. A brown bag-style lunch at the library with presentations on health and wellness topics. Week 3: Focus on Physical Activity. The parks and recreation department and county conservation gave participants the opportunity to try hiking, biking, water aerobics, yoga, pickle ball and fossil hunting. Week 4: Focus on Emotional/Mental Activity. The art center hosted programs on gardening, aromatherapy, creative writing, origami, journaling and music appreciation. Week 5: Lunch & Learn at the Library. When the month had a fifth Wednesday, we finished the month with another lunch presentation at the library. Since the alliterative name of our community-wide program was catchy, the library’s program name added more alliteration. This helped remind attendees when and where these programs would be held. Topics included Stop the Bleed lifesaving techniques, meal planning and apps for health. The best attended sessions focused on topics like probiotics, getting better sleep and healthy foods (with samples of kombucha, quinoa, hummus and other unique-in-this-small-town foods). The public was invited to bring their lunch, and the library provided a light dessert. This collaborative had no budget; all of the presenters provided classes at no cost with the exception of one library-funded presenter. The library did provide cold bottled water and incentives to encourage the walkers and to register in the summer reading program. Handouts and evaluations were photocopied by the library. Each partner promoted the series through media outlets and social media. We created a Facebook page and have nearly 200 followers. We also posted to numerous local pages and the library’s page for greater reach. For the Lunch & Learn programs, we piloted the Public Library Association's Project Outcome, a free toolkit to help libraries assess the impact of their programs, to gather data. It was especially useful to gauge interest and satisfaction as well as determine what publicity methods were working. We are currently working on Wellness Wednesdays 2019. The committee has expanded as we have added representatives from the extension office, county health department and Central Iowa Crisis Services. We are using suggestions from last year’s attendees to schedule our classes, including mental health topics, internet safety, mindfulness, personal safety, radon testing, storytime for adults and cooking for one or two people. The committee is also pledging to boost efforts to promote all programs using our individual resources — email lists, print, social media and more. We will also make better efforts to share press releases and photos with the Winterset Madisonian newspaper and the Winterset Citizen weekly blog. Jean Bosch is the library director at Winterset Public Library in Winterset, Iowa. 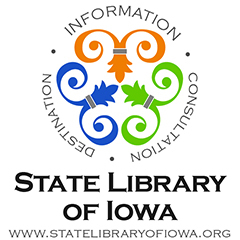 This blog post is part of a series, organized by Iowa State Library, exploring programming in small libraries throughout the state. A collaborative program series in central Iowa brings health and wellness programming to residents for six months of the year.